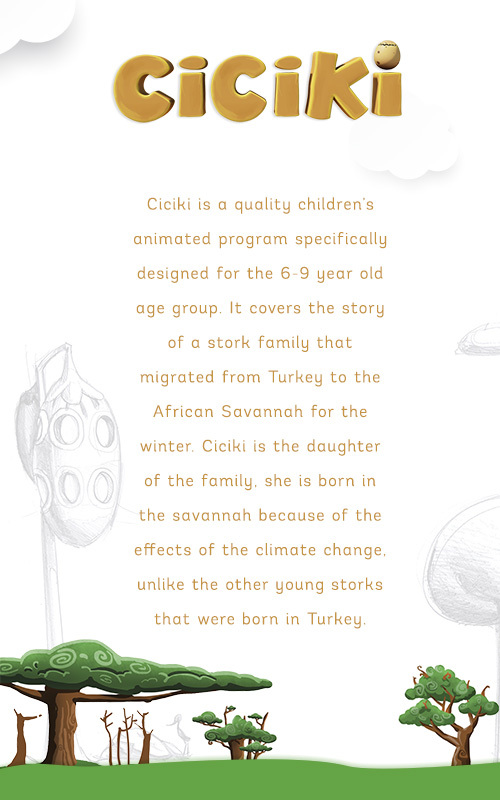 Ciciki is a quality children’s animated program specifically designed for the 6-9 year old age group, produced by Telecine Productions and directed by Saba Çil. 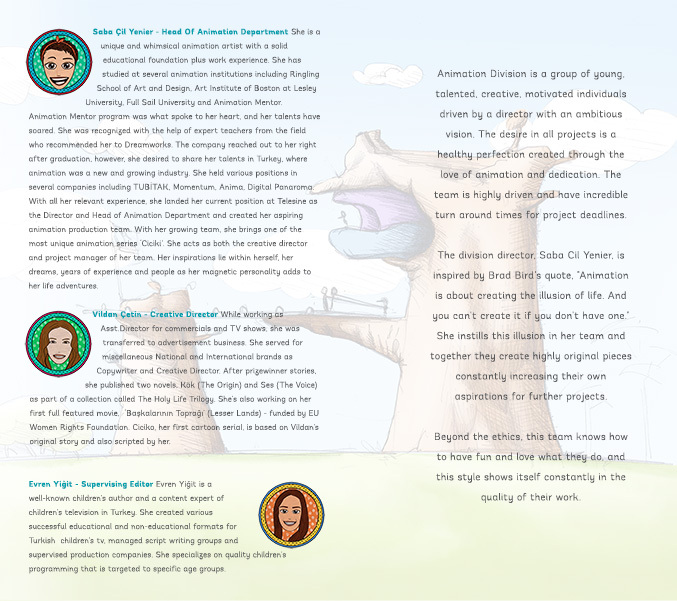 I designed a foldable booklet that presents main plot and major characters of the animation, along with a presentation of Telesine. 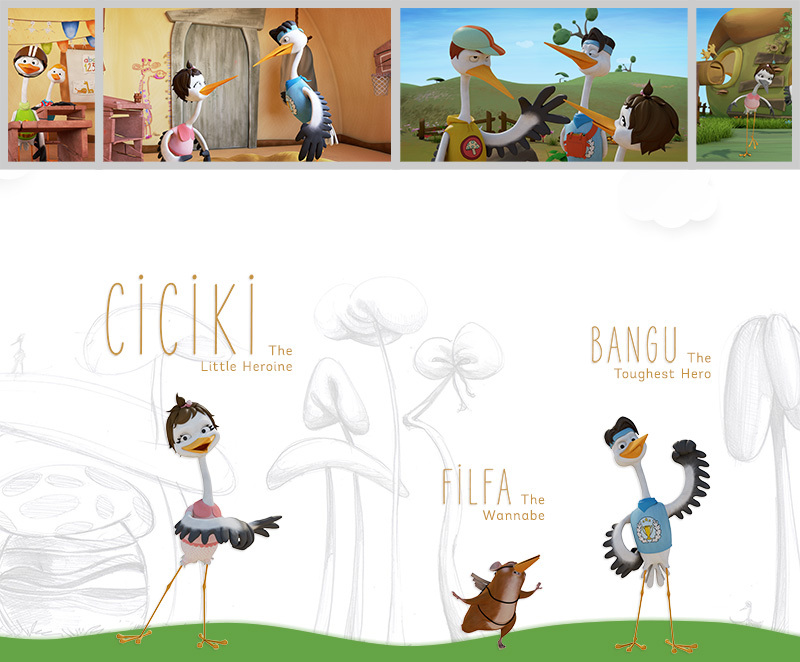 I will share printed booklet snapshots in a short while but in the mean time check out the images.